The night of June 24 changed the lives of everyone in the Nandi household forever. Our family has four members - three humans and one canine. Despite many mishaps and shortcomings in our lives, the four of us have made it a motto to live life with a smile. 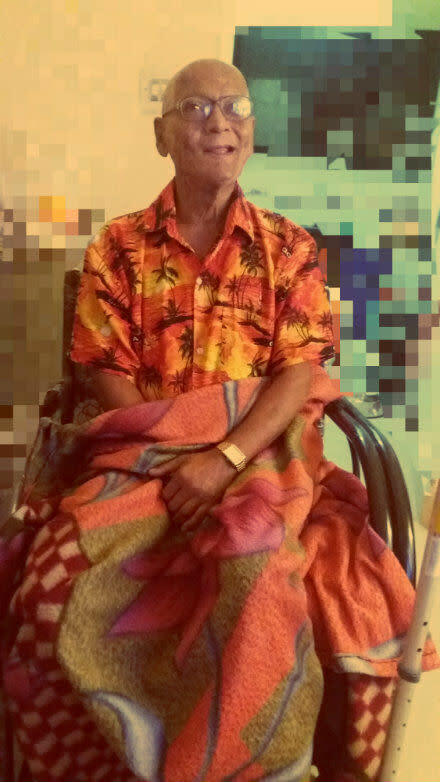 On that evening, after his evening walk, my father (who is 64 and has already suffered brain hemorrhage, due to an accident in 2014) went inside his room to rest. Everything was normal until he came out of the room limping and disoriented. By the time a hospital agreed to take him in without any deposit, four hours had already passed. 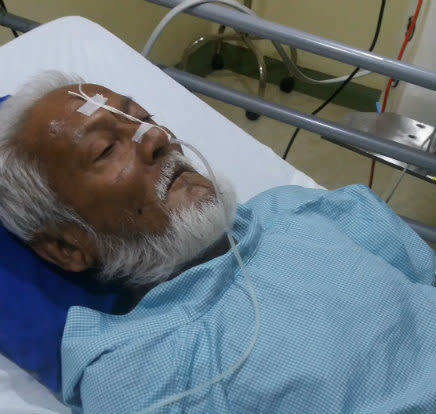 He had a stroke which rendered the right side of his body paralyzed. The journey from that day until now has not been smooth, but it definitely been a blessed one. On suggestions from a friend a similar crowd funding platform BITGIVING helped me raise funds for his medical expenses. Although the goal amount was not achieved the donations were enough to cover his hospital stay. Friends and well wishers also came forward to lend a helping hand. Now I would like to fast forward time to the first week of October, my birthday week. We had crossed a big hurdle and it was time to smile and thank God for giving us the strength we needed. Now I am fast forwarding even further to last week. I wake up with a chest heavy with sadness and worry. I walked to the nearest mobile shop and had to sell my phone as I needed to get groceries for home and medicines for my parents. Later the same day I also sold the last remaining pieces of precious metal (silver) left in the house. When the calendar date will read 01 of next month I will have no funds for all the expenses for my parents. I will focus on the possible questions that will be asked of me by donors and write my answers accordingly. Why does a person of the age of 60+ does not have savings to help them through their old age? All of the savings my father collected from his modest salary from Tata Motors were aimed at giving me a proper education, speaking more precisely, it was aimed at making me an engineer. To make sure I got a good start, they were ready to do anything. One consultancy in our home town (Jamshedpur) took advantage of their sentiment and conned us an engineering college in Bangalore. 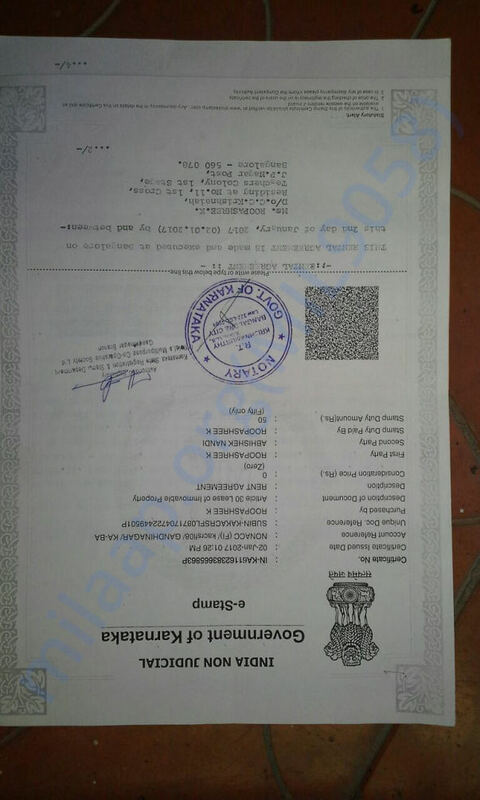 The class 12 certificate they had issued me was fake. I was already through the third month of my first semester when it came out. I left college soon after. Not only did I have to repeat those two years of school, all the money invested with the consultancy were unaccounted for. What happened suddenly that I require help from crowd funding? In the first week of Oct I was informed by my employer that I was being moved from one 'process' to another. Soon enough, new training began. That month's salary took the ground away from my feet. There were incorrect deductions and for the time period when I worked overtime were unpaid. That’s an approximate amount of 9,000-10,000/- less. I had worked extra for over 30 hours to make sure I could afford the medicines and physiotherapy sessions my father required. The next three days, I ran around arranging money for these crucial medicines. When I got back, my process was shifted again, since I had missed the training. After a day’s training, I was informed that there was no requirement for that process or any other process in the company. So I would be placed in BENCH NON PAYABLE until requirement opened up. More than half of the month was gone and I was left with no other option but to leave. This means that I do not get my next salary (which I was supposed to get on the last day of Nov) and I have no source of income until I finish a month at a new job. I have given numerous interviews and have been selected for 3 IT firms, but the joining date is only in January. All of this boils down to one cold fact; I do not have any funds for the expenses for my parents until February (that is when I will be getting my first official salary from the next employer). Do we not have family members who can help us? Both my maternal and paternal family members have never been keen on having a smooth relationship with us. Some are occupied with problems of their own lives, others simply choose to ignore the situation we are in and hurl harsh words at us. What do I intend to spend the donations for? 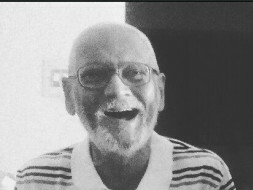 My father is out of the hospital and definitely out of danger, but he requires thorough check ups which includes MRIs and blood tests apart from the consultation from a neurologist. 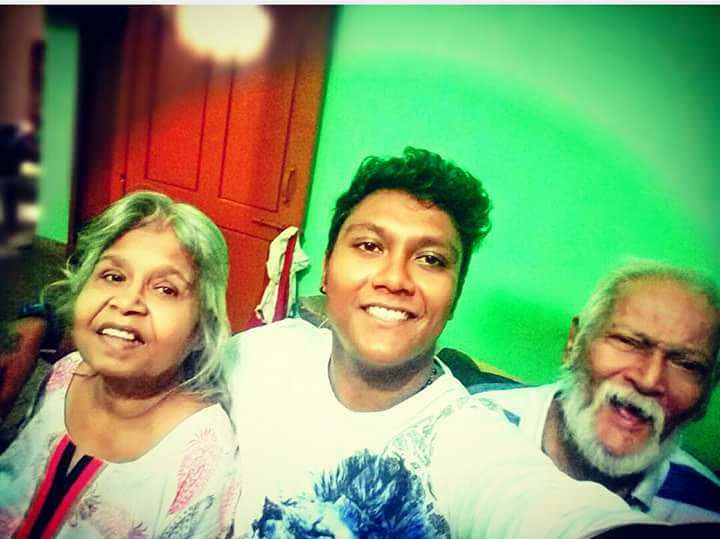 Since his discharge in July, I have not been able to take my father for a single medical checkup all these months as getting the required medicines and household expenses were a priority. 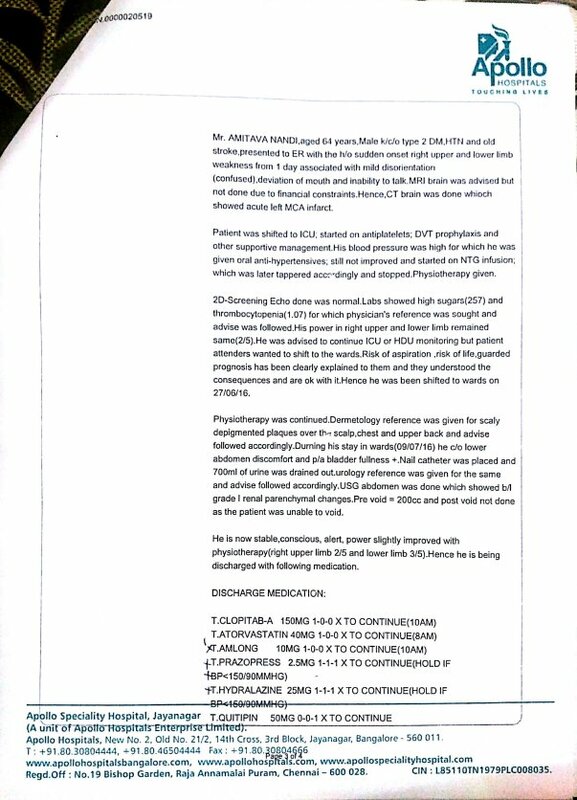 Apart from medicines my father’s doctor has strictly prescribed physiotherapy which at this point will only be possible if we can get a professional at home. 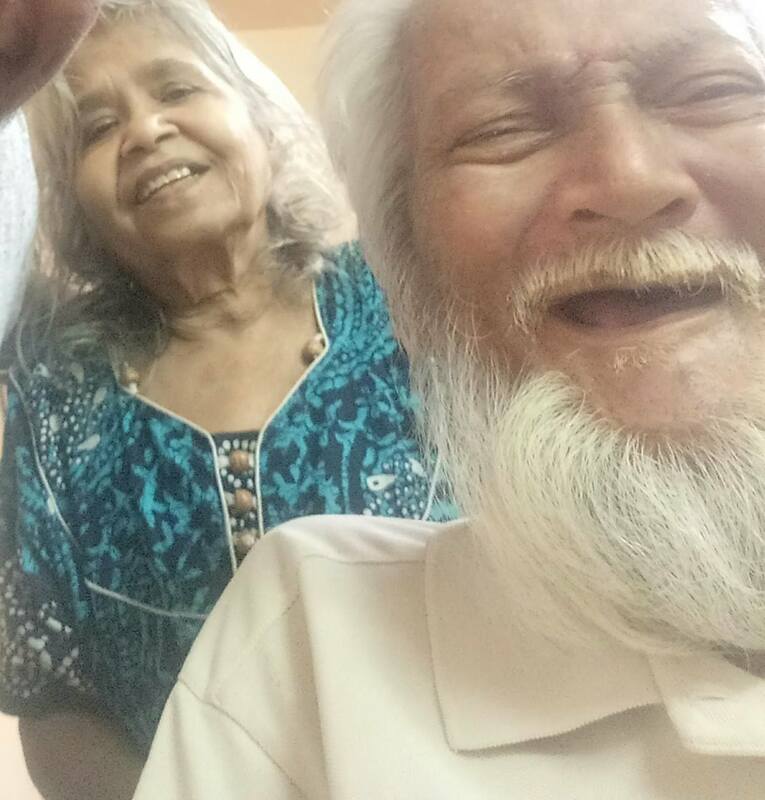 Before his discharge I purchased a refrigerator and a washing machine through Bajaj Finserve. The refrigerator is to store my father's insulin, which is a major medicine to keep his blood sugar level under control. The washing machine is to wash bed sheets, clothes etc. to prevent infection as most of the time his bodily discharge happens on the bed. 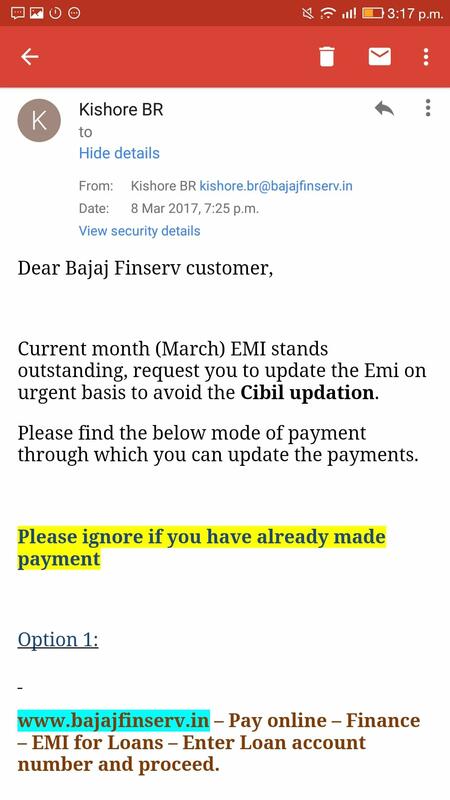 Since I have not been receiving my full salary, the EMI process for the appliances are jeopardized and if not paid soon I risk the appliances being taken back by the store, making recovery of my money or appliance almost impossible. The funds will also be utilized to get food supplies for the house, which will get over in the next 10 odd days. Last but not the least, I need money for rent to keep roof on my parent’s heads. It has been the most difficult last few days for me. I have done everything that I could do to fix all the issues but I have hit a dead end. I am not sure if any company can legally do what my ex-employer has done to me, and their negligent act has rendered a dependent family helpless. I have realized the magic of giving when I witnessed so many well wishers contribute when Baba was in hospital. Getting him back would have been impossible without all those helpful souls. This effort to speak up and seek help is towards keeping my aged parents lives as normal as possible, without shortage of funds for medicine, checkups, food etc. I stand on humble ground, on a strong pedestal of faith. Please help me get through this unprecedented storm. No amount will be too small to contribute; no prayer will be too short to wish for a miracle. This update is primarily to inform all contributors and patrons that I will require to extend the time limit and fund requirement if the campaign. The reason for this is three fold. One, the initial medical expenses expected was way low that the estimate provided to me by the hospital. The components in the estimate comprise tests and investigations which are of utmost importance at this point of time to medically understand the progress of baba's health. Second, I have been informed by my current landlord that I will have to vacate the house in a month's time as his relatives are coming to settle. Having that said the landlord has agreed to return me only 10℅ of the deposit paid at the beginning of the contract. The deductions are being told to be for 'miscellaneous repair' and pending rent from earlier this year. This leads me to the point that I have no secondary means to arrange for the deposit of any new house I go to. Also the entire process of shifting from one property to another will set me a substantial sum of money, which given the current situation I was least prepared for. Third, as I mentioned in the main body of the campaign, my employer will be paying me only partial monthly remuneration until my training gets over which as of now should happen by the end of March. With the salary paid I will just have enough to pay the new house rent. However I will left with no spare funds for other necessities like medicines, food, EMI (Refrigerator & washing machine). 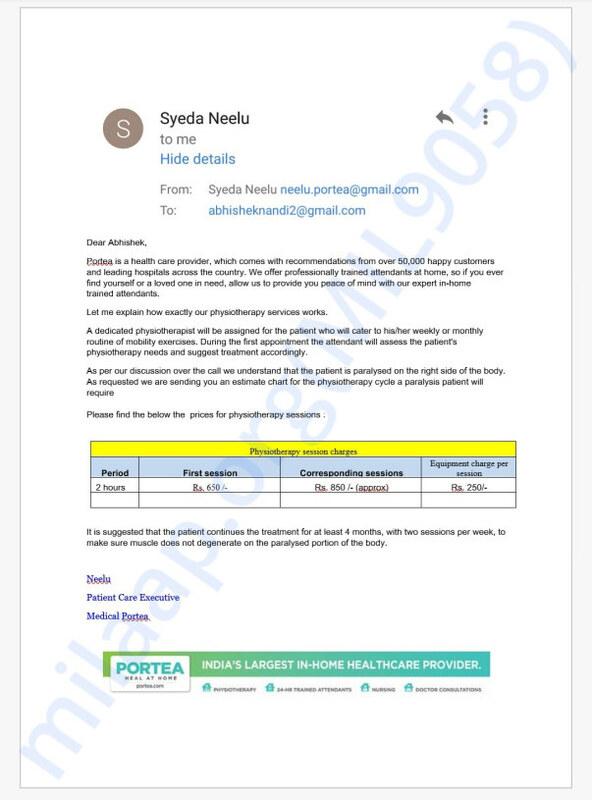 Second, the estimate email copy from Portea for baba's physiottherapy. By the end of this month I will be receiving the new agreement for my new house which will be posted as an update here. 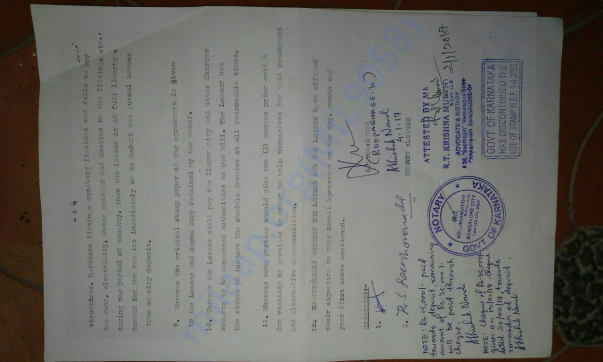 Today I have requested for withdrawal of the second lot of funds collected here in Milaap. Also the time limit and the funds required has been increased for the cause. 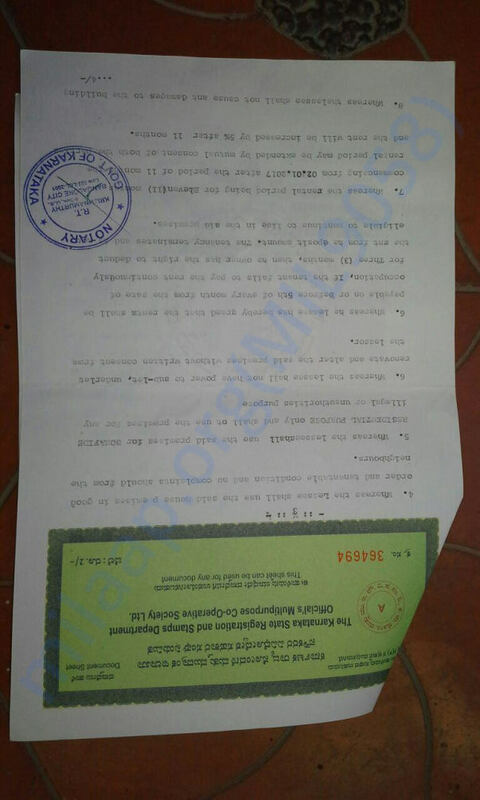 With the entire picture of our requirements drawn it is essential that I request the attention of all readers and contributors to the core fact that the monetary deficit presented to us as a family is caused due to the abrupt and forcible exit from my previous employer. Also it has pushed me into an unprecedented time period of training for the new process (company) during which the salary compensation given is only partial minus all incentives and benefits. 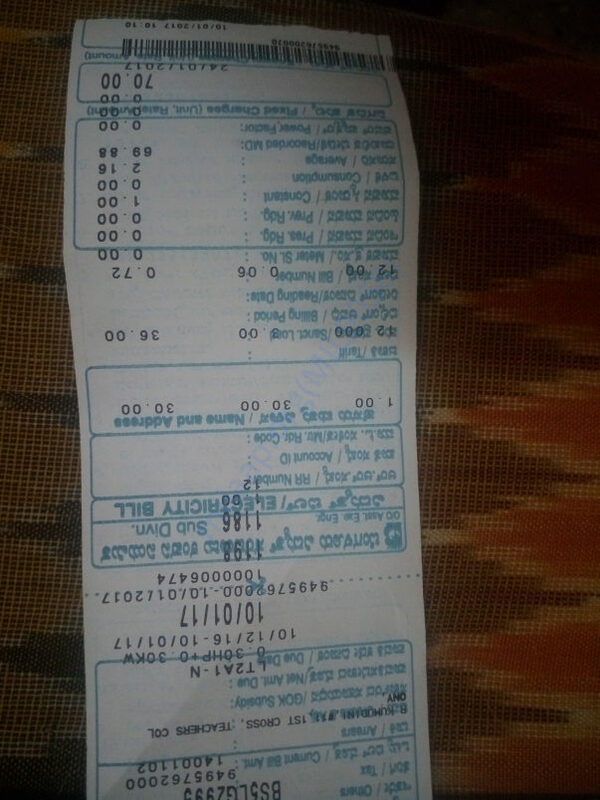 For a family who depends on a sole bread winner to bring three meals in front of them, to get all the medicines and medical help required for the senior members and to pay the rent on time, it is impossible for us to spend a day without a line of worry on our foreheads had we not received your invaluable help. We are still far from goal amount that is needed for all the immediate and important necessities. Please share and spread the word of the campaign #helpbabagetbetter and help me reach my aim. The help that I have been receiving from Milaap has helped in constant intervals to meet my expenses with maa and babas medicines and tests. I highly appreciate and feel blessed with the approach my words about the situation has reached all readers. I am requesting for withdrawal of the collected funds so far which will enable me to resume vital medicines for maa and baba which had to be stopped owing to the shortage. 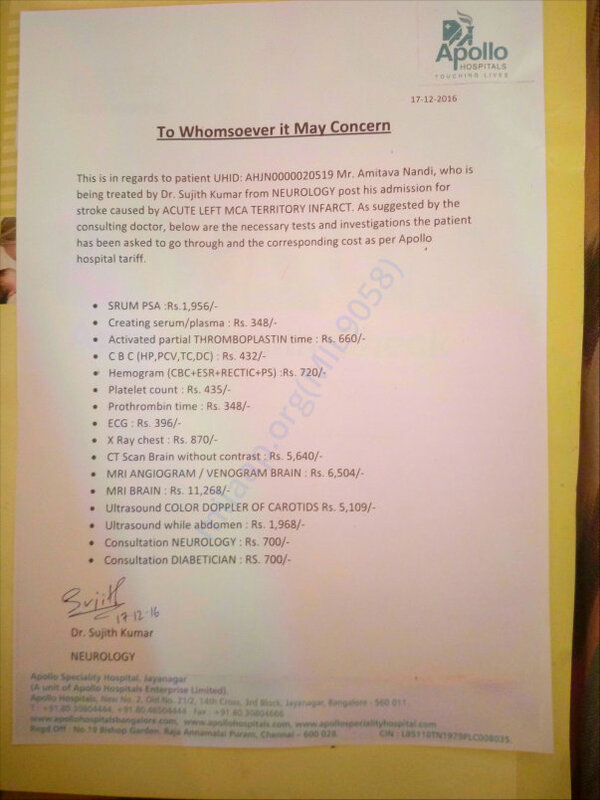 On the last checkup, the consulting doctor has shed light on the deterioration of babas health and he has grown weaker and more stiff in terms of bodily functions. Tracing back to the previous updates that I had posted, the lost of tests which were suggested for baba could never be done. 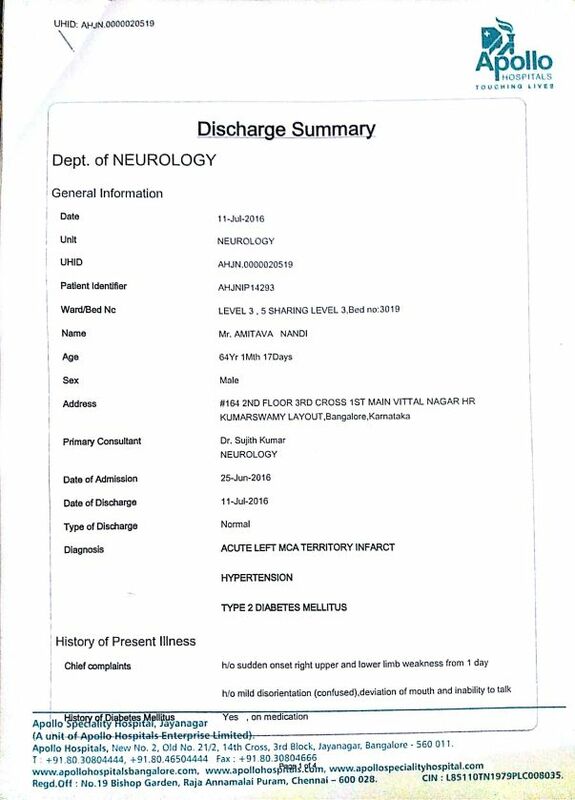 These were the tests that would help us understand the status of his health keeping in mind he had a cerebral stroke in June of 2016. Maa has been also growing increasingly weak owing to anemia, which also needs advanced medical attention and medicines to go with it. This update to mobilize efforts to see how best I can meet their medical needs to that they can find stability in their health and peace of being. Any and all help is given towards the effort will be a blessing and a boost to my effort. Thank you so very much for all that has been done and what will be done for the campaign. 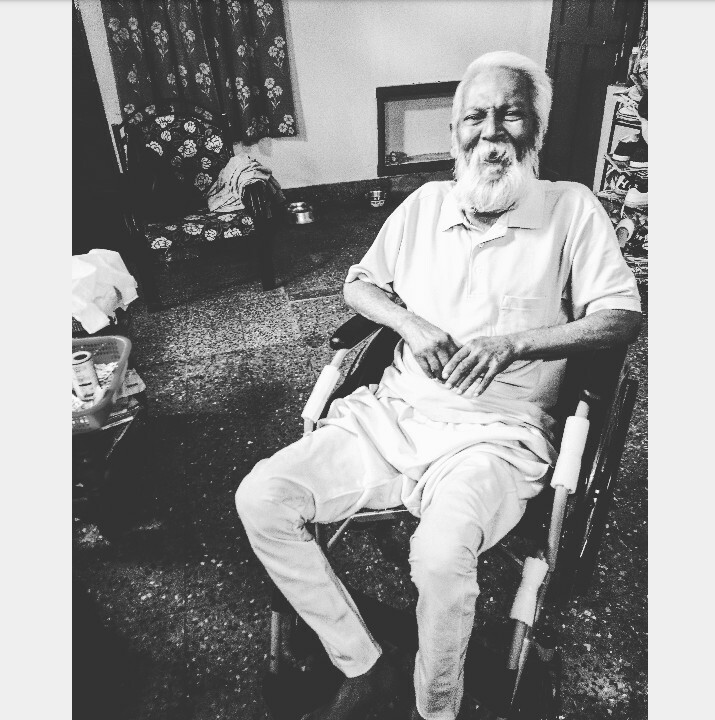 A small yet the happiest moment: when the new wheelchair was presented to him, he jumped like a child, happy that he is being shifted to Goa and that he does not have to confined to his bed for much longer. THANK YOU to all who made this day possible and a blessing. It has been a long period of time since I have been able to post an update in this forum. It has been a significant amount of days and months that have passed which has a blessing owing to the help which has been lent to me by the countless hands. From an ill-paying job, where any and all of my attributes were being undermined to reaching an almost stable work environment in Goa doing a job which I love, life has undoubtedly taken me to heights which I, for one had never imagined reaching anytime soon. Since the day this campaign was started, the way the wavelengths have changed for my family's and my life. I have been able to take better and enhanced care of maa and baba. The generous help extended in the initial stages of my struggle helped me get a rocket boost to reach where maa, baba and I have reached today. After all these months little had I expected that more help will come my way after the inactive phase of the campaign. My job in Goa although blessed is a restrictive job as the state functions as per season. For the last four months starting from June has been months when I have been unemployed as it has been offseason for the tourism here. 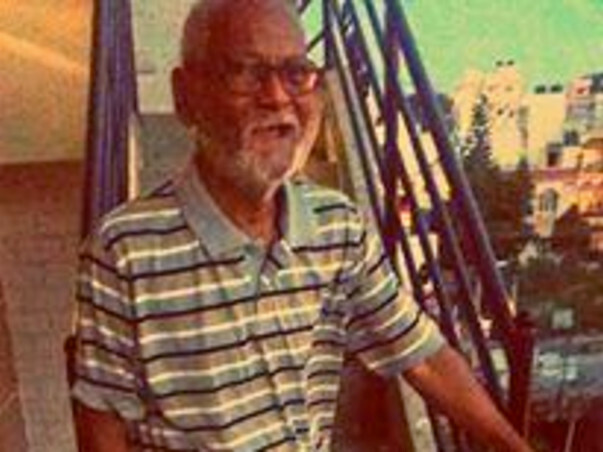 A withdrawal request is being placed the amount for which will be used for physiotherapy and insulin for baba. Owing to the unemployment I have not been able to facilitate physiotherapy since July which has slowed the progress which ideally was the case when regular sessions were taken care of. The season is, fortunately, beginning of October from when finances are to expected to be more stable. Request all readers to refer to the previous updates in terms of physiotherapy prices and insulin rates. As and when more help is pouring in from this campaign, the more I am getting closer to recovering from the depression financial and otherwise I faced while the campaign was started. All the help we have received is no less than an absolute miracle. Greetings contributors and well wishers. The days behind me have been immensely blessed. Since my move to Goa, where I work as a host for Thalassa, the tables have finally begun turning. 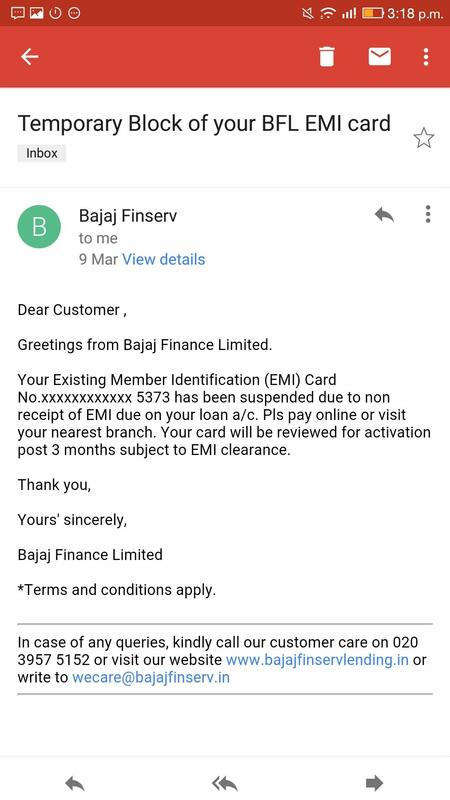 The better slaary has enabled me to start clearing off debts which have I have been laying off since Baba's stroke last year and it has also enabled me to take better care of Maa and baba. 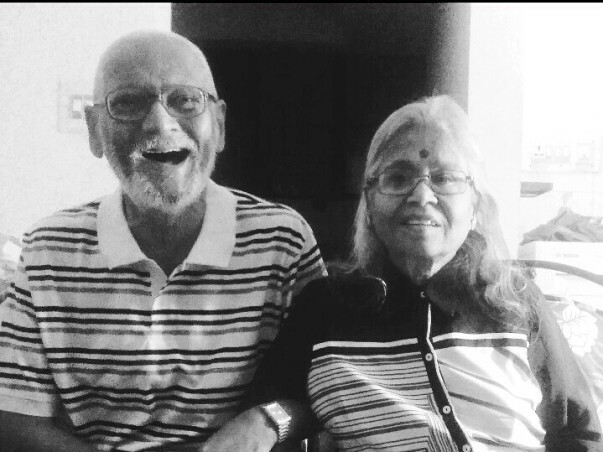 In regards to food, Medcines and supplements, I have been able to take care of everything and more to keep Maa and Baba as healthy and happy as they can be. 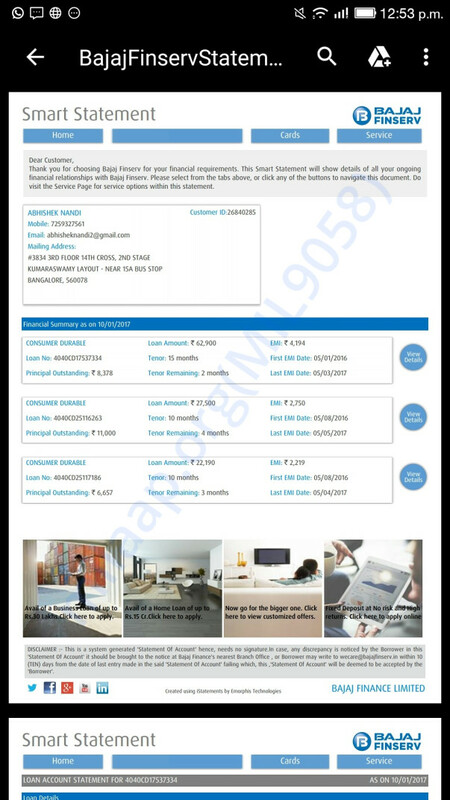 Prior to my move, Milaap has been the only reliable source for help, not having a steady job, despite being hard-working and efficient. You all have helped me with great kindness and I have unsurmountable gratitude for each step you all have taken with me until now. Baba's blood pressure has come under control (that is the mark of 150) for the first time since his stroke. 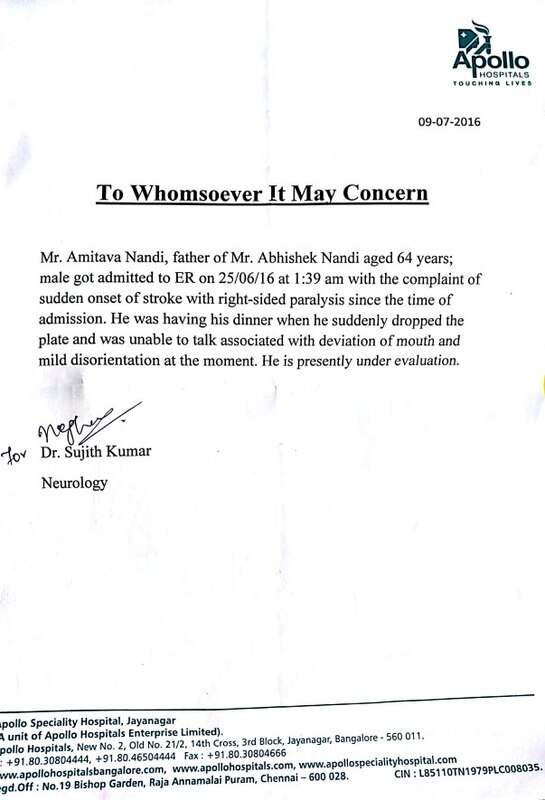 His appetite has increased, owing to regular dose of supplements being taken as per doctor's suggestion. The physiotherapy, which I am able to afford owing to the funds collected has made baba's muscles less stiff, increasing reaction in them. Besides medical requirements and smooth functioning of the household, all the help I have received has helped me to fulfil the emi I have for baba's washing machine and refrigerator which helps smooth functioning of his days. 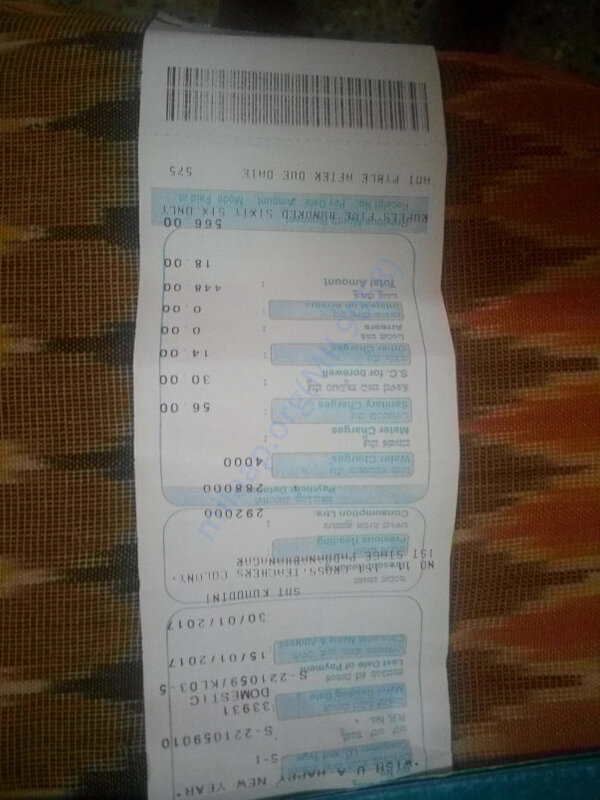 The most recent contribution, for which I will request withdrawl, will be used to pay off the pending payments from the month of march, when I moved to Goa and did not sufficient funds. 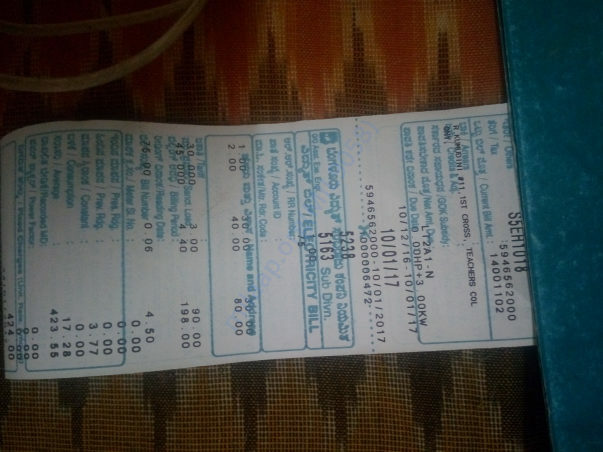 Also, during the same period, a local medical outlet was kind enough to send medicines to Maa and Baba when I could not pay my regular medical source. The contribution will aid me to pay off the pending payments. I will forever be indebted and thankful for the huge punt of prayers and contributions I have received. 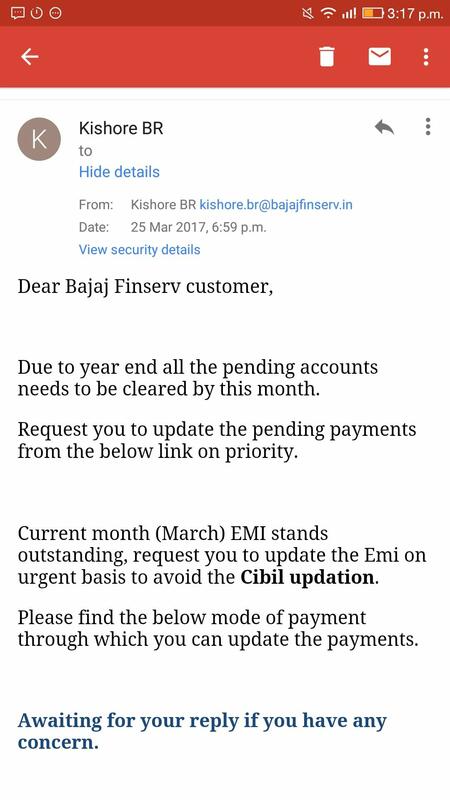 Attaching screenshots from bajaj finserve, whom I owe emi for the month of march.